Help… | sondai living: Spirit. Art. Style. sondai living: Spirit. Art. Style. This is not a word that you will often hear me say. But the last year has proven otherwise. I do not like it but I am learning. I grew up an only child. I played on my own accord and mostly by myself. I was grateful for playmates but I knew how to keep myself occupied. Being an only child fostered a deep seated independence. I was good at imagining and managed to entertain myself very well. When I was in high school, actually my senior year, some friends and I drove down to Atlantic City. It was a turn around trip but while we were there we stopped by a psychic shop or house… whatever it would be called. I didn’t have enough for a full reading but I had enough for a hand writing analysis (yeah I know). It “revealed” my persistence. She more than likely ascertained that from me trying to figure how I could give her my money. I will try until I succeed; a trait that supports independence. I can do it. If I don’t get it the first time I will keep going. It could just mean that I am hard-headed. But I have found myself in a position that while I know I can do it, I need some help to push through to that next round. 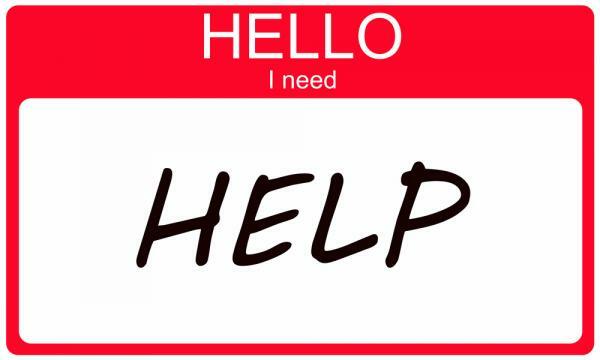 Forming my mouth to ask for “help” in this instance has been one of the most difficult moments of this life journey. I am sincerely grateful to those who have been supportive during this time. I am numb from the overwhelming support. I feel loved, weird, indebted… but over those, I feel grateful. I love the people in my life. Thank you God for sending such great folks my way. You certainly know how to Bless a girl! This entry was posted in Health and Wellness and tagged community, family, friendship, help, thankful by kimberly c. gaines. Bookmark the permalink.